Okay, I have something to confess. I bought a couple vintage dresses for my wedding, to try out. They ended up not working out and I borrowed a vintage dress from Ruby (what a friend!) I figured I'd sell the ones I didn't use but that really hasn't happened yet. I now have a small collection of pretty vintage dresses, that I've found here and there - at flea markets and all around. Now I don't want to sell them, they're all so pretty and nice to look at! But lately I've been thinking how it'd be fun to open a pretty vintage dress shop or something... just because it'd be so fabulous to have so many pretty dresses around. Anyway, I took some up close shots of some of the dresses I have to share with you. Maybe one of these days I will have the time to take pictures and post them up on the internet to sell! What are your plans this weekend? Our workshop is tomorrow, we have well over 200 emails back and fourth of planning and figuring things out. It's been a lot of fun and we're really excited for tomorrow! We'll be sure to take lots of pictures to share with you! oh my goodness, those are absolutely lovely!! i would have a hard time selling those too! oh wow...especially that one with the golden dots! :D i am sooo looking forward to america for amazing places for vintage! I love the lace ones, Danni! I would definitely have my eye on it, should you decide to sell it haha. Wish I lived closer to you!! When you're ready to sell please contact me!! I collect vintage dresses and love the look of these dresses! Especially the gold polka dot one! The dresses are gorgeous. I'd have trouble giving them away too, if I were you. Have a great time at the workshop tomorrow -- I so wish I could be there! I adore vintage and those are just so lovely, would buy all of them! So pretty! I'd love to see you wear some of these! have fun tomorrow! so wish i lived closer so that i can attend. 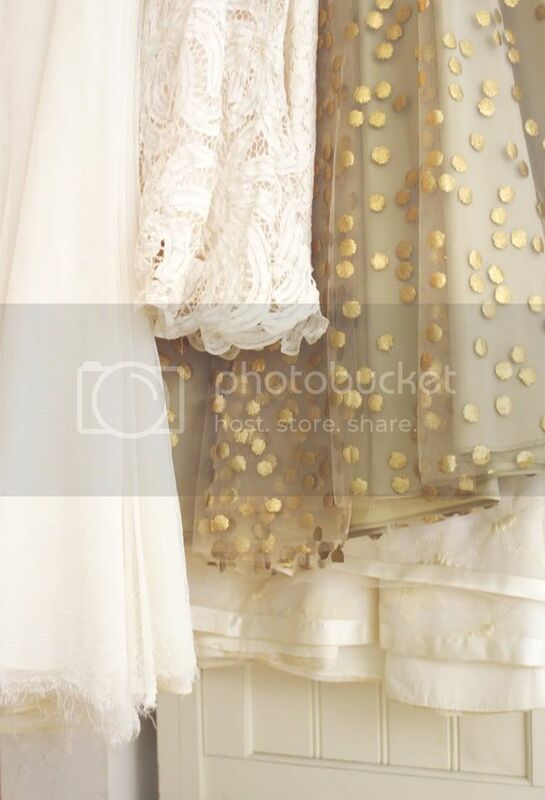 The dress with the gold polka dots is grabbing my attention. I'm having a hard time looking away! haha Great finds! They're all so lovely! Oh goodness, these are gorgeous! ps, my pictures from renegade are up! these are all so beautiful! i can imagine it would have been so hard to pick out one. i especially love the spotty gold fabric. just gorgeous! Beautiful! The gold polka dots are enchanting. they look so beautiful all together! how nice it must be to have so many pretty vintage dresses right at your hands! 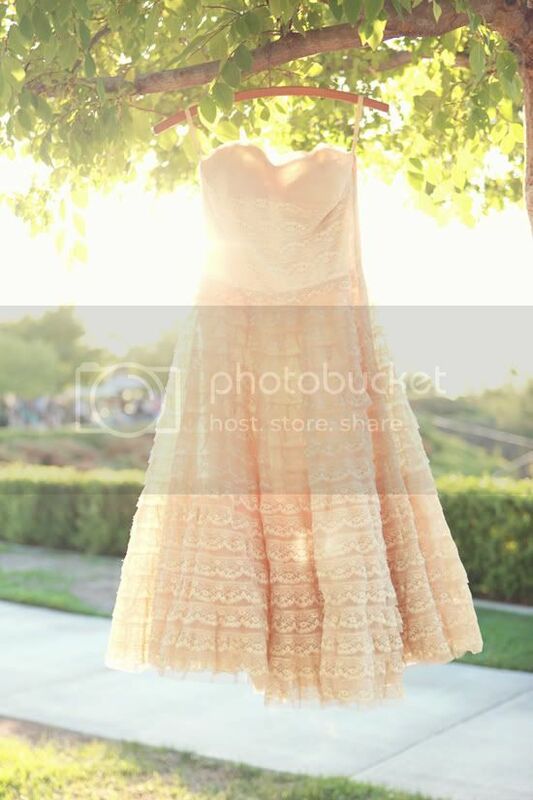 ahhh i would love to have just one vintage dress!! i'd buy one from u, altho i'm prob a size or two bigger than u!! hope your workshop went well!!! This is absolutely beautiful. PLEASE put the one with gold confetti bits on the skirt on sale!! 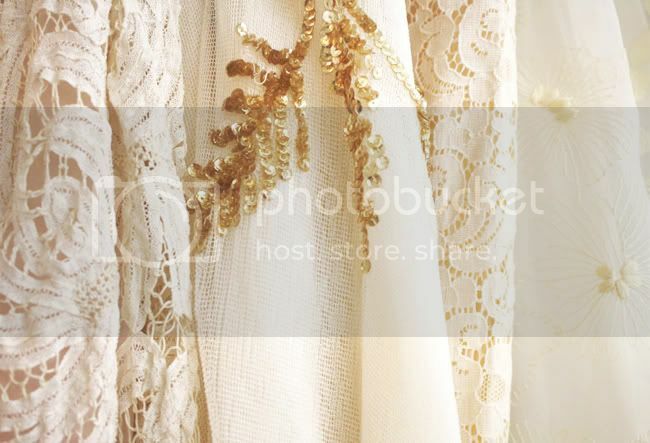 i agree the gold confetti dress is gorgeous...open an etsy store to see how it goes..
love this! 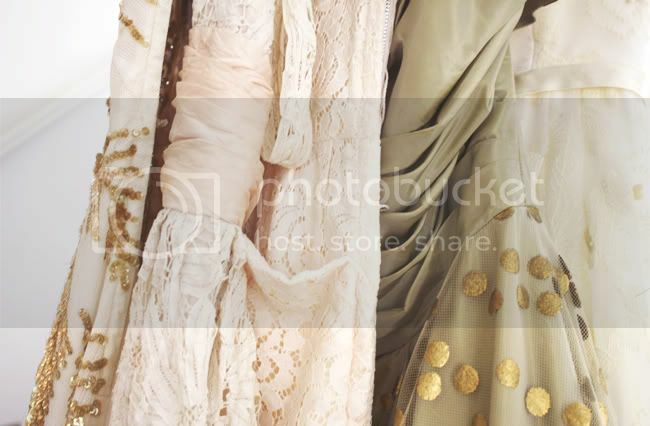 my wedding color is gold (like, not yellowy or brownish, but GOLD) and I'd loooooove to get a better look at these dresses! especially the one that looks like it has a gold coral-y design on it? please let me know if you put them up for sale! oh my this is a super old post but I came across the image on pinterest... did you ever get around to listing any of these? I'd love to buy some! The gold confetti polka dot dress is to die for!